We’d love your help. 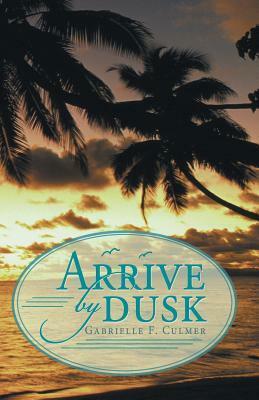 Let us know what’s wrong with this preview of Arrive by Dusk by Gabrielle F. Culmer. Widowed at thirty-four, Mindy Croixe is a highly respected and popular artist. Her landscapes and aquatic portraits reflect all of the places--from New York to Paris--she had visited with her late husband, Lamont. Embarking on a new and important episode in her life, Mindy is participating in another art show, this one in Saint-Tropez on the Mediterranean Sea--a long way f Widowed at thirty-four, Mindy Croixe is a highly respected and popular artist. Her landscapes and aquatic portraits reflect all of the places--from New York to Paris--she had visited with her late husband, Lamont. Embarking on a new and important episode in her life, Mindy is participating in another art show, this one in Saint-Tropez on the Mediterranean Sea--a long way from her roots of Crystal Shores. It's here she runs into Blaine O'Neill, a friend from way back when in Crystal Shores. He's in Saint-Tropez for the opening of yet another of his luxury hotels. At thirty-five, Blaine has been successful in building his conglomerate, but not his personal life. Mindy is conflicted. She and Blaine were friends, good friends. But her late husband had given her so much, and she is still reeling from their life together and what it should have been. She's not sure she can consider a relationship, not even for an old friend who knows her well. To ask other readers questions about Arrive by Dusk, please sign up. Gabrielle F. Culmer has previously published two novels and one collection of poetry. She is a lawyer based in New York and has earned several university degrees from universities in England, New York and Chicago. She has spent time in France to research subject matter when writing the novel.